With the release of wireless charging on the iPhone 8 and iPhone X, we’re confident you’re about to see a lot more wireless charging technology pop up. One of the frustrating things about wireless charging at the moment is that you need to have your device, whether that’s your phone or your Apple Watch, sat directly on top of the charging pad in order for it to work. It’s impressive, and less fiddly than having to plug a charger into the bottom of your phone, but it's not really wireless. The real dream is wireless charging from a distance. Now it looks like a team might have cracked it. 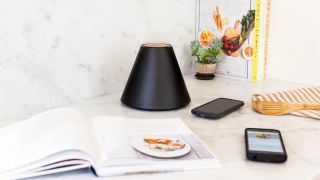 Pi, a company founded out of MIT, has created a wireless charger that is capable of charging multiple devices up to a foot away. The Pi Charger uses resonant induction, the same technique that Qi chargers (the industry standard) use, but can reach greater distances thanks to an algorithm. And the technology seems to work. The company demonstrated charging four phones and one tablet simultaneously on stage during TechCrunch Disrupt San Francisco, an event showcasing game-changing and ‘disruptive’ technologies. At present, in order for a device to be charged using the Pi charger, it needs to sit inside a special case, although Pi claims that future phones like the iPhone 8 won’t need a case in order to be charged by it. It's interesting that the iPhone 8 was directly name-checked, as obviously the Pi Charger will be in direct competition with Apple's recently announced multi-device charging pad, AirPower. Pi plans to start shipping the Pi in 2018, and is planning for it to be “well under $200” (£148, AU$250). As we hear more about the Pi charger, we’ll let you know.